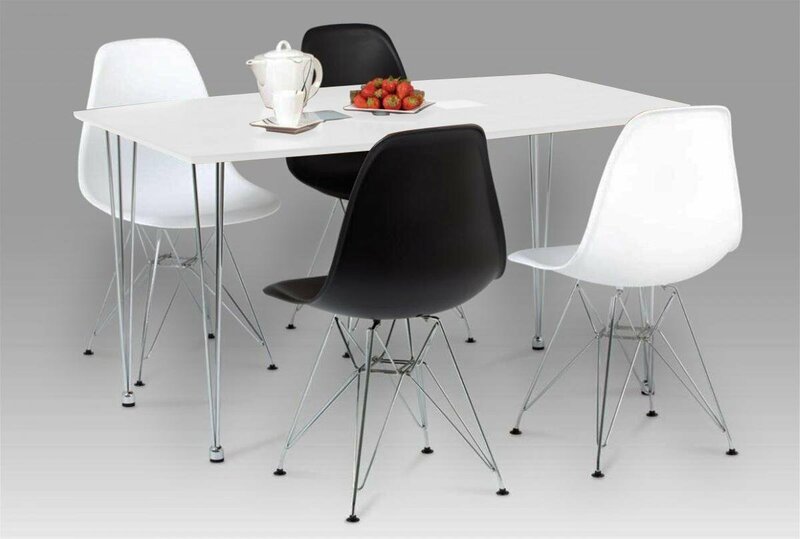 For an interesting mix of Minimalism and intricate design, the Bianca Plastic Chair Set is ideal. With the minimalistic, curved backrest offering comfort and being supported by an intricate design of Chrome legs, this chair set is a unique design that is perfect for any modern home. Sold as a set of four chairs.